Follow this guide to copy e-mails from the UMB-account in Outlook. 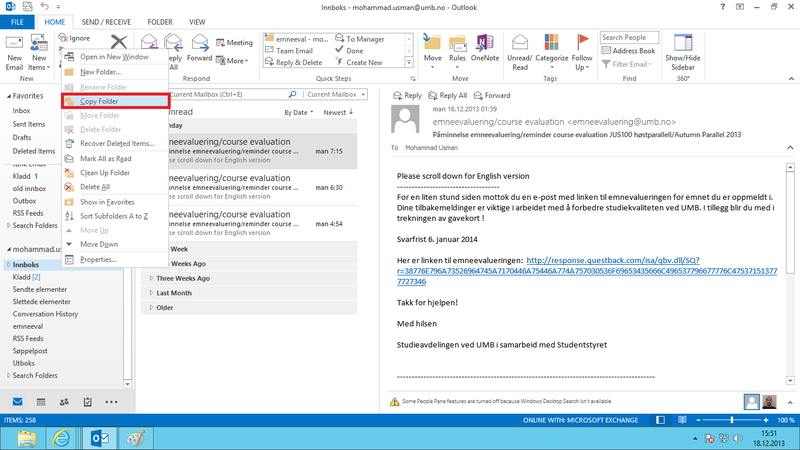 If you haven’t already imported the UMB emails into Outlook, you have to do it first. 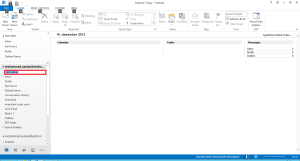 You can copy folders and individual e-mails. 1. Right-click on your NMBU accout name and choose New Folder. Give the folder a name different from the ones that are already there, for example “old inbox”. 2. 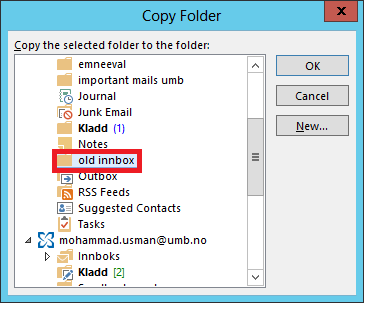 Find the folder you want to copy under UMB emails. Right-click on this and choose Copy. 3. In the next dialog box, choose the folder you created in step 1. Click OK.
1. 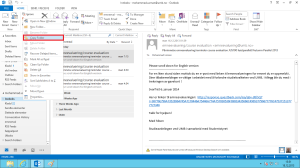 Select the e-mail you want to copy by clicking on it. 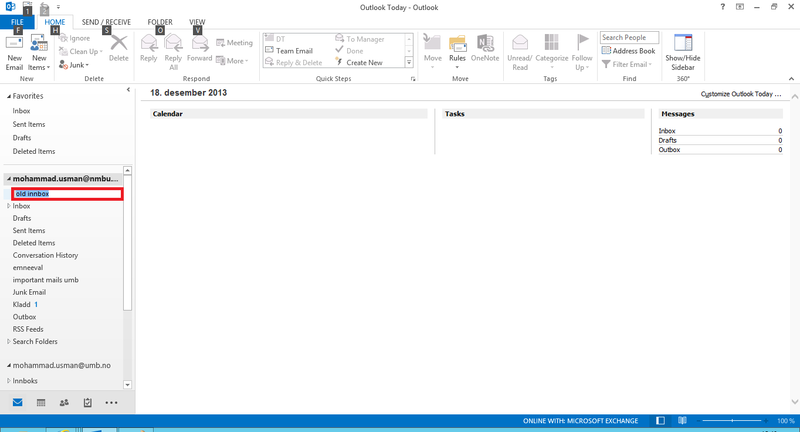 Hold the SHIFT-key down to select multiple e-mails. 2. Right-click on the marked area and choose Copy. 3. 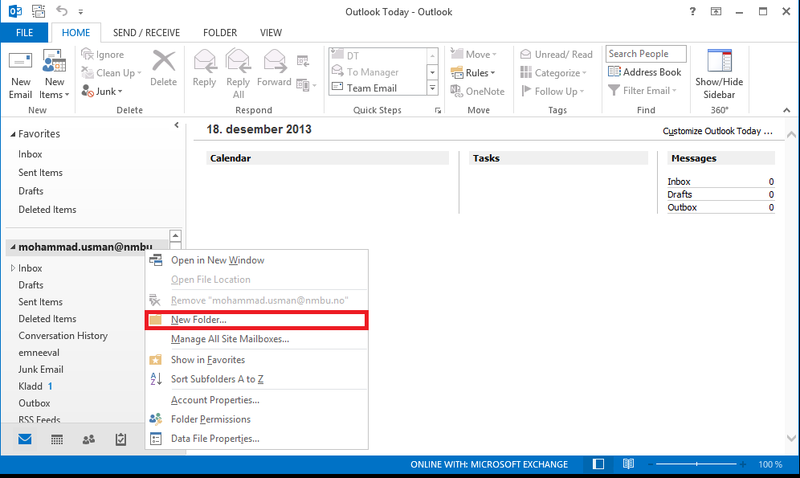 Select the destination folder under the NMBU-account (create new folder if necessary). Use the CTRL + V key combination to place the e-mails. 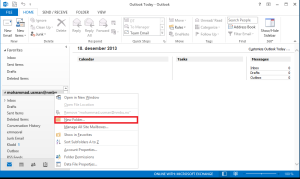 This entry was posted in IT-documentation and tagged E-mail, Outlook, Outlook 2010, Outlook 2013 on December 18, 2013 by Mohammad Usman.